Star of the Sea School is uniquely situated along a beautiful stretch of False Bay coastline in St. James, Cape Town, South Africa. It is a school with a long history, its buildings having been completed in 1908. It is a Cabra Dominican School, and there were five Sisters and ten pupils when the school first opened on 24 January 1908. By the end of its first term it had grown to twenty pupils, and it has continued to prosper and grow over the years. Star of the Sea is a sound, well-run, caring school, catering to a very broad community – a microcosm of the population of South Africa. Built on rock, steady as a rock, it should prosper and grow well into the future. Summer uniform is applicable. Please adhere to it. All children must have their sport uniform for physical education as well as after-school sport. Road safety – Please ensure that the children cross at the pedestrian lights at all times. They must listen to the person and always cross in front of the them. Greeting and saying THANK YOU is the Star way. Homework books must be checked everyday. Please ensure that you are aware of your child’s assessment dates and due dates for projects. Make a point of asking them about it. Contact the teacher to inquire about your child’s progress regularly. Late-comers. Regular late-comers are a major concern to us. They arrive after the first lesson or well into it. They miss the teaching of new concepts and as we teach Mathematics and/or English first, they miss out on the same lessons every time they are late. Please get your children to school on time as you are placing them at risk and teaching them a bad habit that could plague them for the rest of their lives. Assessments are planned throughout the term. Please check your child’s message book for the dates and ask them about the test.We appreciate your support in helping your child do the best they can, by helping them to prepare for their assessments, ensuring they get enough sleep and that they eat a healthy breakfast before coming to school. Please ensure that your child signs up for a sport in the afternoons. It is important for our children to be exercising regularly. 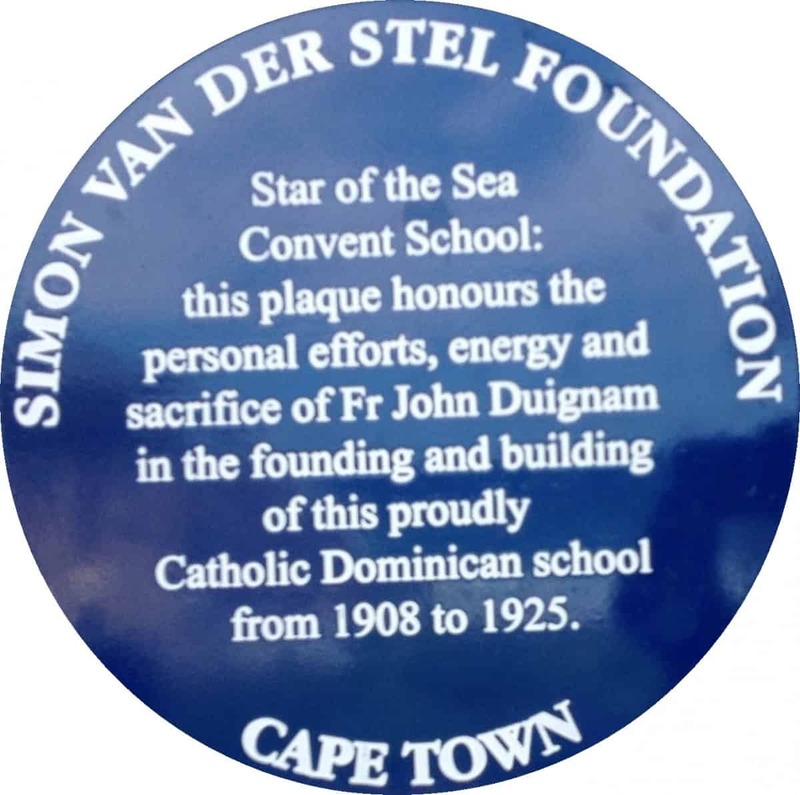 We were awarded a blue heritage plaque to honour the life and work of Fr John Duignam. He was a remarkable person who had many roles; parish priest; architect; builder and teacher. Dispatched to the area as a young Irish priest who spoke Spanish to minister to stranded Filipino fishermen, he stayed over 50 years. In this time he built the convent house and invited the Dominican sisters to start a school. He built and taught in the Mission School on the same grounds – today St James (RC) Primary. Education was important to him and he later built the first classrooms for the Dominican school. The school felt it important to honour the personal sacrifice of Fr John Duignam as it approaches 110 years.